Use the template to help measure the length of your stripes. 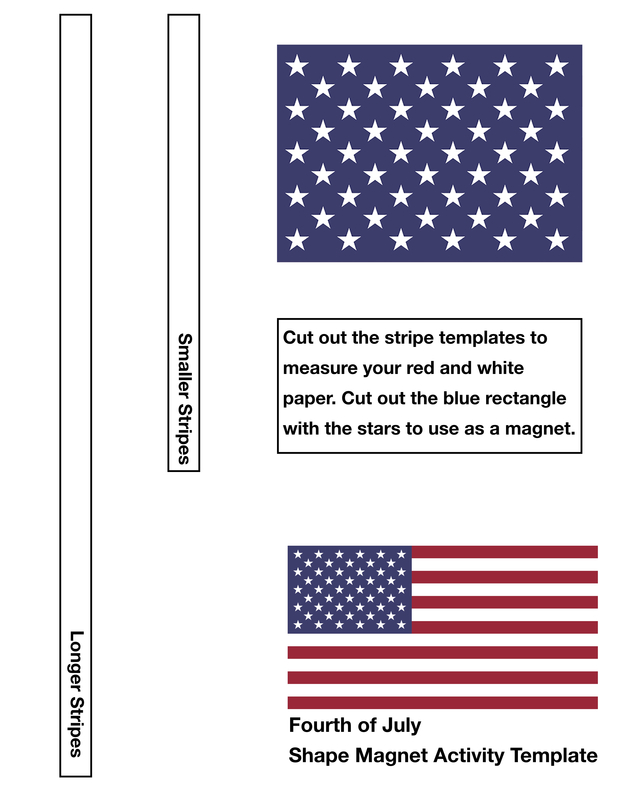 Glue your stripes and the blue rectangle with stars onto your magnets with a glue stick. When dry, cut out your magnets. You can also use colorful foam pieces and other materials in your art supplies to create magnets! (Note: You may need hot glue to adhere some materials to a magnet backing). When finished, assemble your artwork onto a magnetic surface, such as a cookie sheet or a refrigerator. 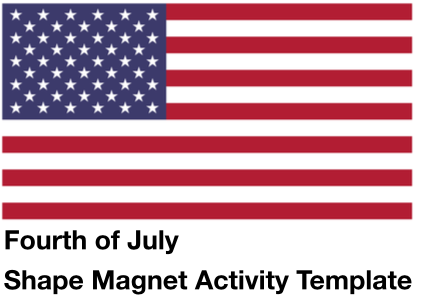 The flag magnet can help you and your child practice visual literacy with shapes. Start a conversation about how shapes create everything around you…What shapes can you find outside in flowers? Trees? Buildings? After you practice with the magnet and search for shapes in objects around you, create drawings using only shapes like squares, rectangles, and circles. You can also use the flag as a math connection to practice counting in art! Count the stripes and stars together, and then have a safe and fun Fourth of July!